I’m pretty sure that every single person I meet that knows @BarbieHolmes says the very same thing…”She is just the kindest person” Not a bad way to be described is it? Barbie Holmes is a great example of living a HAPPIER longer life! She and her husband, “Big Rich”, love to MOVE and enjoy golfing, skiing and most often hiking around the Lake Havasu area. Barbie says “I love the irony of climbing in altitude to feel more “grounded”. She also admits, “This little piece of the world brings me solace, not only for its raw beauty, but also for the fact there is NO CELL PHONE CONNECTION! !” 🙂 Barbie has embraced daily action number two LEARN over the past two years when against the odds, at the age of 57, realized a lifelong dream in launching a modeling career. She’s become a social media influencer, and an advocate for “pro-aging”. 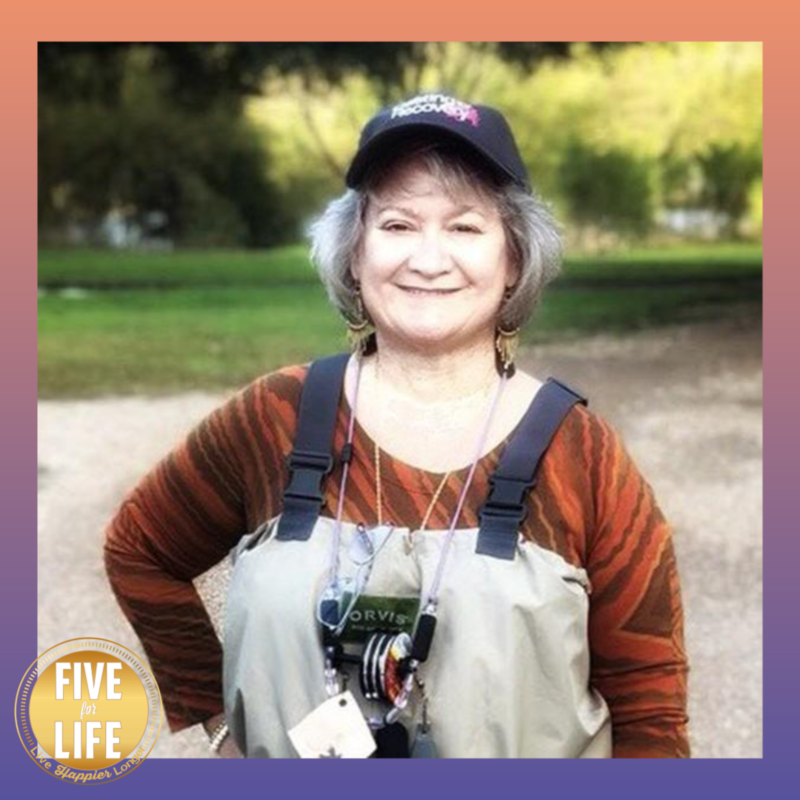 Barbie credits some of her social media success with the connections she’s made through @forerverfiercerevolution and the IGover50 group. Her helpful attitude and friendliness make daily action three, SHARE, an organic part of her life. Here are some of Barbie’s words of wisdom: “Surround yourself with positive people who support and encourage you. Pay attention to people who are willing to help. Reach out; there are many kind people who will help you along the way!” We agree, and Barbie Holmes is certainly one of them! Aging with optimism requires action. Be mindful and intentional with how you spend your time. Her name tells you that she is living a life that’s centered in aging with optimism!! Kim definitely knows how to MOVE! 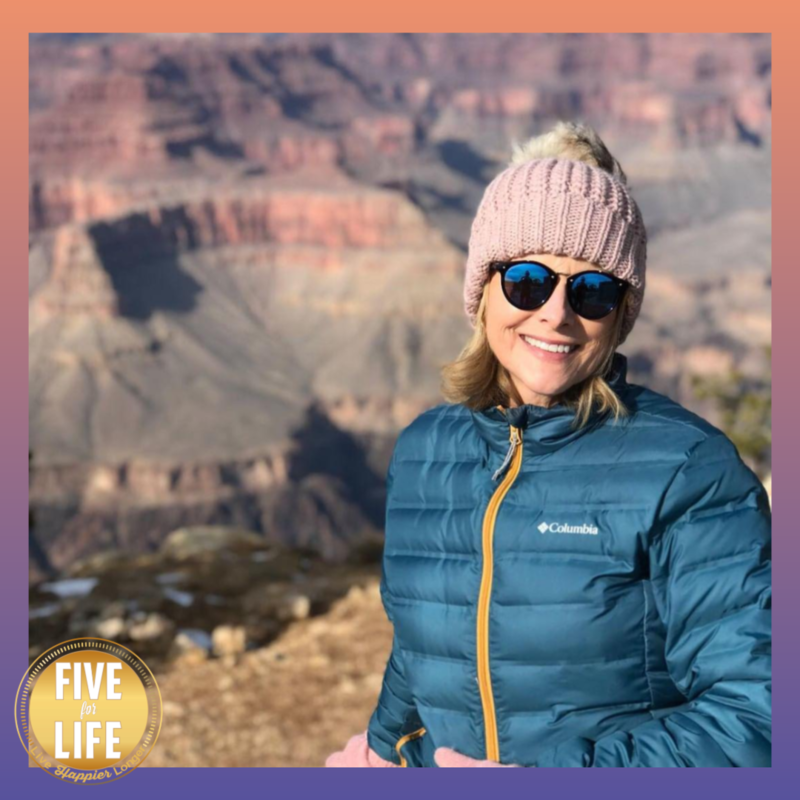 She and husband David love staying active together and you can see them on IG out hiking, running, biking and walking the dog And she and David are definitely LEARNING a lot this year about being small business owners when they followed a dream to own a hobby store. I love watching the dream unfold for them, and love Kim’s own words on making this dream a reality. “I said to him “don’t you think you owe it to yourself and to me to see if we can make this work”? We reached out to them, the stars aligned, and the rest is history.” Kim SHARE’s her life with her family, friends and community. In her own words: “I learned something recently about myself that I suspected but was not quite sure if it was truly me. One of my core strengths is harmony. I truly believe that everyone has a voice and something important to say…Daily, I like to give words of encouragement and happiness to the people I interact with on social media. I want to lift people up.” Kim is someone who always seems to wear her gratitude on her sleeve. It’s clear that our daily action number four GIVE, is front and center in her marriage, her parenting, her blog and her daily life. A recent quote from her social media that I loved “ Don’t fill your glass with dirty water” from Darren Hardy I think sums up how to approach the world with intentional gratitude. Starting a new business is stressful for anyone and Kim has been LETTING GO by focusing on her intention and sticking to things she believes in. Like her mantra, “Having excellent health and wellness makes me a better person now and in the long run. The daily choices I make for my health and wellness will be with me today, tomorrow and in the future – they need to be the best choices for how I want to live my life.” Aging with optimism requires action. If you want to live HAPPIER longer, you can start by focusing on habits like ours that are backed by science to help you do just that! Good Morning Amy Kennedy! The radiant smile behind Your Favorite Chapter If you don’t follow Amy for a little inspiration and optimism you really need to! 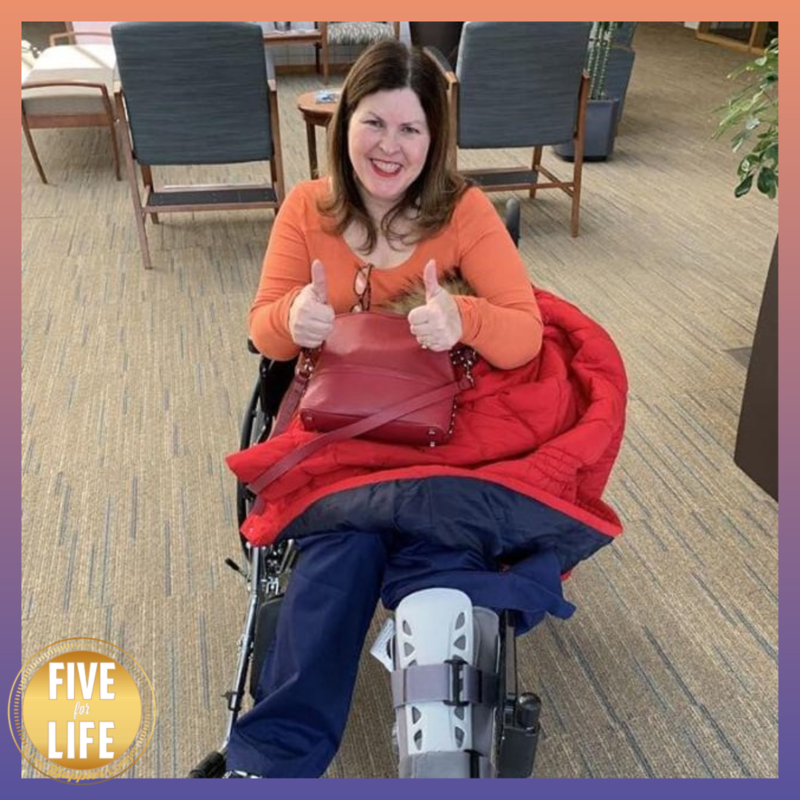 Though she’s been battling a broken ankle since the end of February, Amy still keeps a smile and is working hard in physical therapy to get back to her exercise group, “Sizzler’s Challenge”. It’s exactly our kind of MOVE group–all positive encouragement without the pressure. Like many bloggers, Amy is constantly LEARNING and stretching herself. Her blog is such an organized and beautiful spot for everything that “delights” her like fashion, food, fitness and fun! Most of all Amy’s love for life shines through in every post she shares. There is no doubt that Amy believes in our daily action number three–SHARE. In fact, her blog bio sums it up pretty neatly. It simply says “most of all Amy truly loves all people”. Here are more of Amy’s words of wisdom about sharing… “Nothing will take the blues away more than thinking of a way to bless someone and make their day! Sometimes all it takes is your kind eyes and beautiful smile! Or a cheerful word of encouragement. You can be the game changer for someone else’s day! Isn’t that a powerful truth?” Amy says that the favorite part of her posts is at the end when she shares her heart with the reader at the end and a note of encouragement letting them know that “this life is worth living to the fullest” It’s a simple and beautiful way of expressing her own gratitude and a brilliant example of daily action number four-GIVE. Amy seems to always have a smile but that doesn’t mean she doesn’t have stress, or hard things in her life. 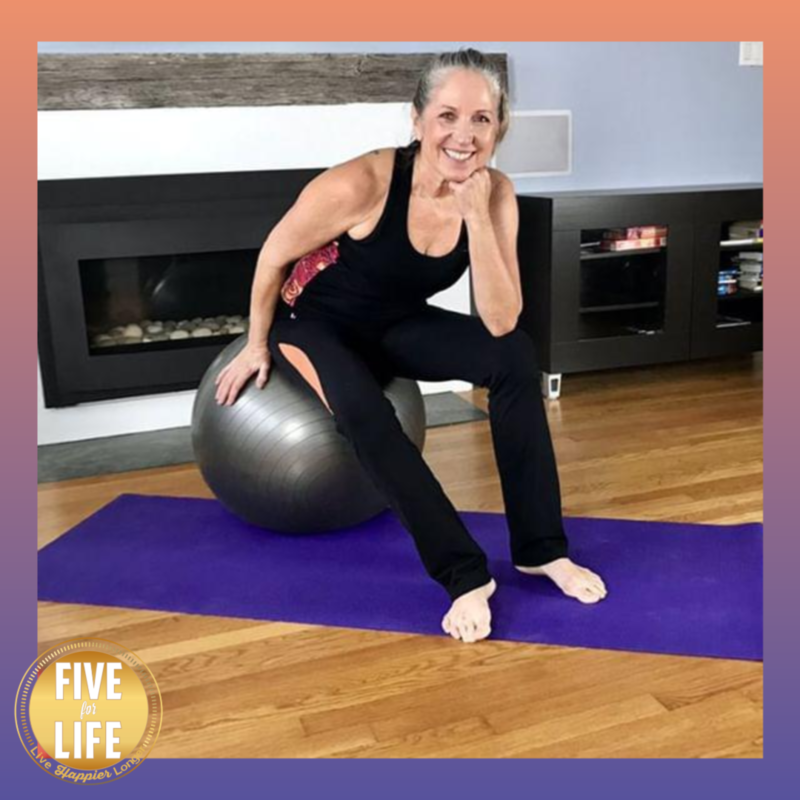 It’s easy to see the way Heike incorporates our daily action number one into her life, MOVE, because she’s spent more than 30 years in the fitness industry. 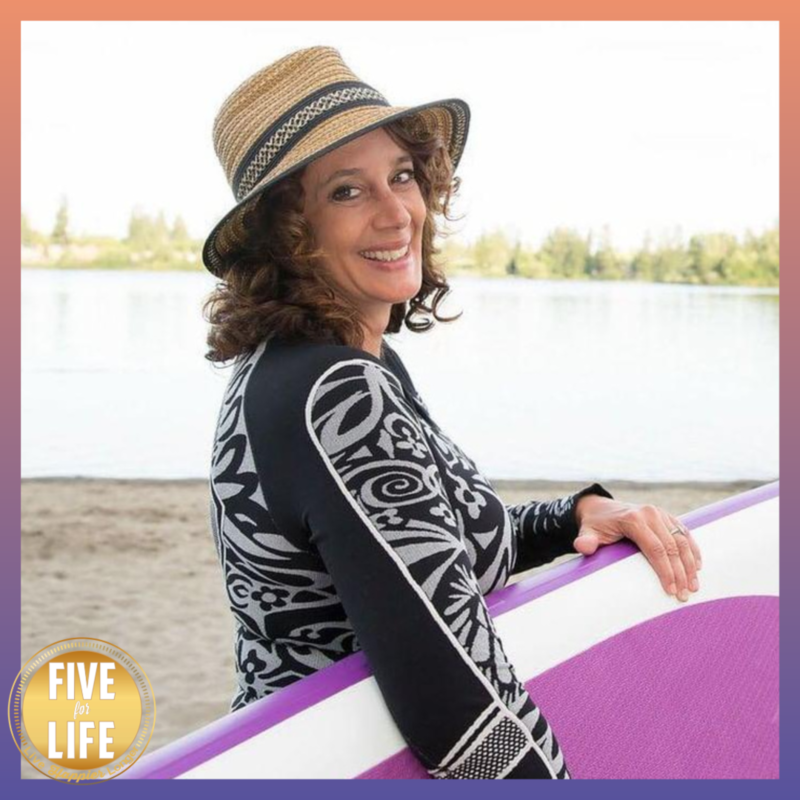 Heike’s energy and positivity is absolutely infectious and she SHARES so much with women of midlife on her blog and podcast www.heikeyates.com She also connects with a big community with one of her favorite hobbies, dancing Argentine tango! Heike always seems to have a smile on her face and one of the reasons is her husband Jan. She says he is the rock in her life. She practices daily action number four, GIVE, expressing her gratitude in many ways for his support. Heike gives lots of great tips on her blog for daily action number five, LET GO and includes meditation and mindful relaxing as ways she combats negative emotion in her life. If you want to live HAPPIER longer, you can start by focusing on habits like our that are backed by science to help you do just that! Meet Janae! from Janae Fletcher and the Self Care Passport. Janae likes adventure when she’s on the MOVE. She’s shared her adventures around the Pacific Northwest snowmobiling, rafting, hiking and paddle-boarding. An important part of self-care including keeping it fun! Janae believes in building your HAPPIER longer life through setting both boundaries and attainable goals. She continues to LEARN in growing her business and in the last year launching her podcast. A BIG part of Janae’s life is daily action number four, GIVE and she even helps others with gratitude practice through an online course. Lastly, Janae practices many different ways to LET GO including focusing on minimalism and meditation. AND she lives in a tiny house, which is another experience that is shaping her life with intention. Here are just some of her words ( I encourage you to check out her blog and podcast for a lot of self-care wisdom! www.janaefletcher.com “Holding onto what I really enjoy has been my motto lately. Letting go of the rest go, both personally and professionally, has been eye opening. Of course I am still doing the basics of life that makes this all possible. I’m also using HAPPINESS as my beacon. My treasured foundations are with me and the dishes are not piling up, rather I’m taking to heart saying yes and no with equal amounts of enthusiasm.” Aging with optimism requires action. Meet Patti Karshis from 55 is fine! Patti is 57 now and a great example of living HAPPIER longer. Here are just some of the reasons why…. Patti still has a teenager under foot! That’s right, her daughter is 17 and definitely keeps Patti young at heart and on the MOVE. We love this pic showing Patti ready for some fly-fishing, a great way to keep you active. Patti says her favorite hobby is a no-brainer, she LOVES to read which keeps her mind healthy and is a great example of our daily action-LEARN. 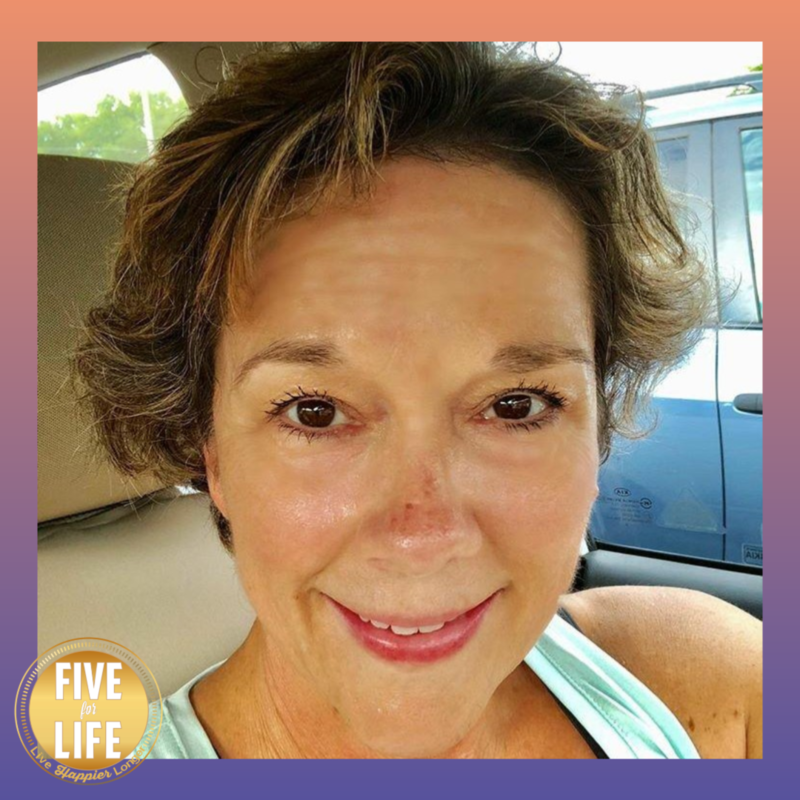 Patti often tells about her girls weekend getaways on her blog “55isfine” and clearly understands how important it is to SHARE your life with family, friends and community. Patti is a breast cancer survivor, and in her blog shares how breast cancer gave her many blessings–her perspective and journey exemplify our daily action GIVE. Her own words about the past show how she works to LET GO of stress and fear. “ I do not dwell much on all the goings on last year. I do not live in constant fear either. I have too much else on my plate to have that clogging up my head!” Aging with optimism requires action.